A great deal of my travels were done through Ryan Air. No one wants to check baggage while flying. It's a hassle! 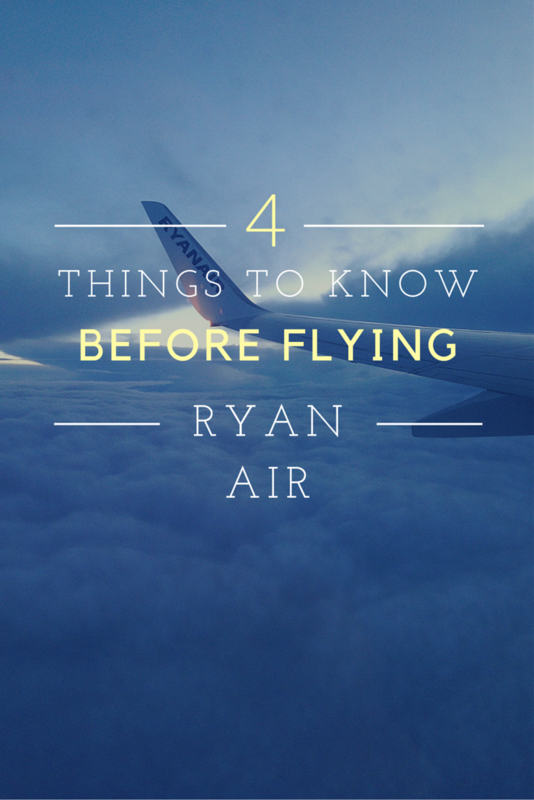 When you get to your gate, Ryan Air staff will check you in;look at your ticket, passport and your luggage. If your luggage looks too big they will forcefully make you pay up 50 euro to check your bag without any explanation. You must fight them on this; there's a "see if it fits" kiosk (for lack of knowledge regarding the actual terminology) that can actually hold quite a bit. Squeeze your bag into the kiosk/model to see if it fits. 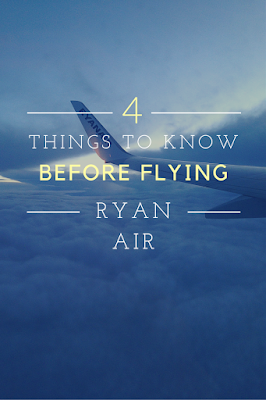 Some Ryan Air staff will let you just check your bag without a fee, but most will not so keep this in mind. If you are going from the United States and going from country to country you MUST get your boarding pass stamped. Without this, you will not be able to get on your flight. Getting your boarding pass stamped can be done at a Ryan Air desk in your airport's departures area. Although this doesn't take long, make sure to carve out 10 minutes in your schedule just in case. It's great that Ryan Air is cheaper than its airline counterparts. However, because they are cheaper, Ryan Air finds sneaky ways to charge you more. A big fee comes from your boarding pass. If you wait until you are at the airport to print your boarding pass you will also be asked to pay a hefty fee of 40 euro (at the time of this post) What a shame when printing at home is free! While I had no problem getting to my destinations, I've heard stories from other students and their final destinations. Ryan Air may claim to fly into *insert big city here* when in fact they are outside of the city and it's up to you to find other modes of transportation to get to your final destination. Really look into where Ryan Air will be flying in or out of. Luckily, Ryan Air is rapidly growing so this may be less of a problem now, but still something to consider! This post isn't trying to "expose" Ryan Air in any way; there's countless reviews, posts and articles all over the web for that. I'm simply sharing information that I found extremely important when traveling around Europe. I hope this short list comes in handy when you start looking into your next trip!